Funnel Holder is made of Polypropylene. These corrosion free Funnel Holder can hold funnels with dia 3" to 6". The extra plate provided can be placed to hold funnels bearing dia 1" to 3". Two tapered wedge are provided to ensure firm grip on rods having dia 1/2" or 3/8". 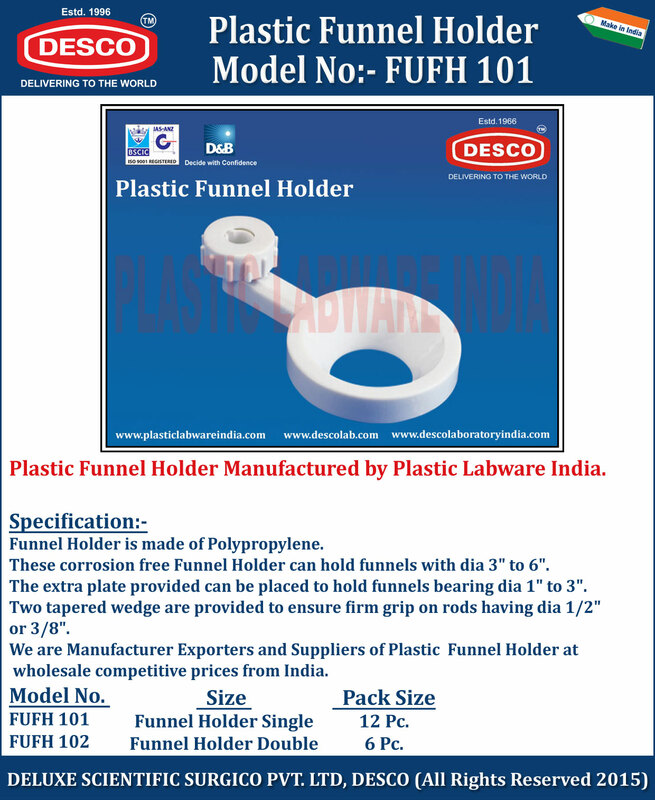 We are Manufacturer Exporters and Suppliers of Plastic Funnel Holder at wholesale competitive prices from India. FUFH 101 Funnel Holder Single 12 Pc. FUFH 102 Funnel Holder Double 6 Pc.